This was a great Legal book. Hints of a Grisham story, little bit of romance. I thoroughly enjoyed it. There's some editing errors. But not many to make reading unpleasant. Steve Solomon twists the law, is out of line, and funny. His court room tactics are off the scale, but are in the name of justice. 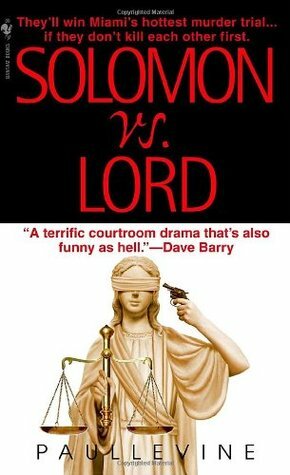 Victoria Lord tries to play by the book and can't stand Solomon. When they end up working a case together, things go crazy. It definitely made for a great book. I didn't want to put it down. I can't wait to read the rest in the series. Sign into Goodreads to see if any of your friends have read Solomon vs. Lord.